With world building reminding me of a YA version of Mira Grant’s Feed, Partials is a great addition to the post-apocalyptic and dystopian genres. After RM killed 99,996% of the human race, only a few thousand are huddled together on Long Island. They are immune – but their babies aren’t. For eleven years, not a single newborn has lived more than four days. Kira works on maternity ward, and can’t take it any more. They looked for a cure everywhere – except at the Partials, part-human weapons that spread RM in the first place. 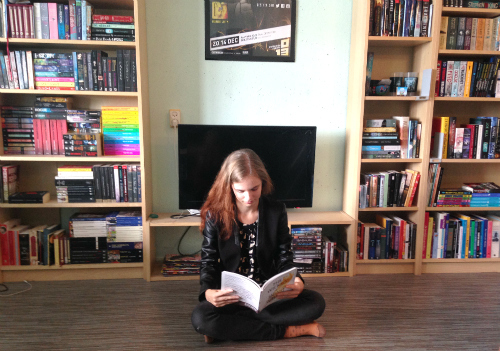 Ahhhhh, the world-building! I loved it. Realisticly corrupt governments, a good understanding of crowd mentality and a believable back story. I loved the background of Partials. After the (in my opinion unrealistic) world in YA dystopians like Delirium and Matched it’s great to finally read a dystopian again I can actualy believe in. Maybe the biggest reason I liked Partials better than a lot of other dystopians is because it’s not nearly as girly as most. Romance mainly takes the background (Kira has a steady boyfriend named Marcus) and even if it’s there, it’s about two people in a relationship, instead of two people falling in love. There is a huge difference between the two, and I enjoyed reading about being in a relationship for once, since only few books deal with the actual “after” of happily ever after. Apart from that, Partials has quite some gun fights, secret nightly missions, bombings, and some science-heavy parts. I thought this was great – Mr Wells doesn’t turn Kira into the female gun-toting archetype, but managed to keep her human (she’s not all that great with guns) but make her self-sufficient enough that she can take care of herself. The science was rather heavy at times, especially on chemistry and micro-biology level, but it added to the believability of the story. I’m quite the biology nut myself, and I loved those parts. There are a few minor things I got troubles with. Samm, the partial Kira meets, wasn’t quite believable for me. His actions didn’t feel logical, especially in the beginning. Another thing that irks me is that the virus is called RM. What does RM stand for? How come no one ever uses the unabridged name? Maybe this mysteries will be solved in the next book, Fragments. Overall I loved Partials. 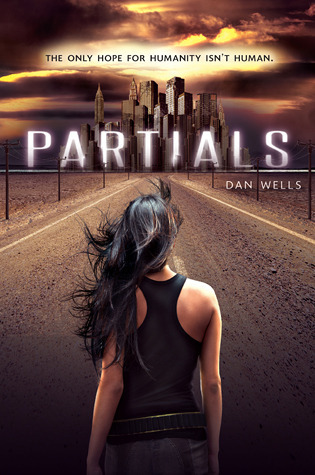 Although the ending was a bit mild compared to the build-up, and though I didn’t necessarily liked the direction the main characters are going, Partials was a great read that I would recommend to the non-romantic YA dystopian fans.